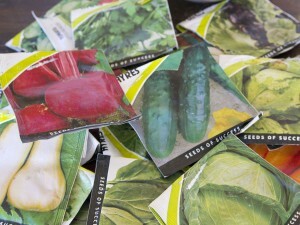 The plan for this month of May is to get all my seeds planted for the winter garden. 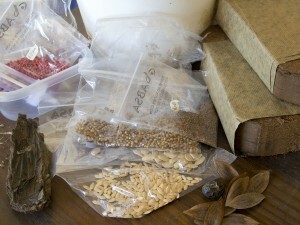 I have an array of seeds that I have collected, swopped, and bought. Slowly I will be only sowing my very own seeds, but for now I am still researching and experimenting with various supplies. 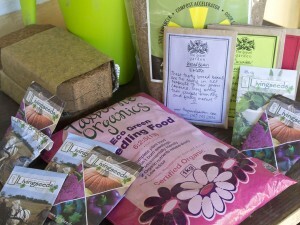 I started off with store bough commercial seeds from a well-known supplier. The only problem I have is that I cannot collect these seeds and expect a bountiful harvest with hybrids – I have to buy the seeds every season. Not a good idea! F1 hybrid varieties are commercially produced seeds that combine certain traits of two parent plants such as resistance to disease, pests or bolting and a tendency to produce heavy yields. F1 varieties can usually be identified by the variety name or by a close reading of the seed packet. Saving seed from F1 hybrids will not produce seeds that ‘come true’ when they produce vegetables. 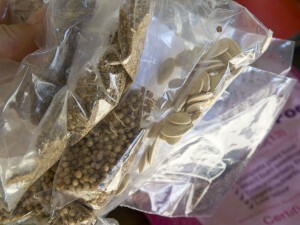 F1 seeds can be infertile. Make sure you only save seed from open-pollinated varieties. Open pollinated vegetable varieties are often heirloom varieties that have naturally evolved over the years and been passed down through generations of gardeners. The vegetables produced from the seeds are similar to the produce of the parent plant and gradually evolve to cope with local conditions such as moisture levels and temperatures. I am only collecting from my heirloom seeds which I planted last season. Some vegetables produce seeds more easily than others and are more likely to produce good yields. For example, I have just read that it is generally not recommended that you save seed from vegetables in the squash family as the same variety will rarely grow the following year and what does grow can be inedible. This is bad news for me because I have saved a lot of my best butternut squash seeds! On the other hand, it is easy to save seeds from peas and beans and the seeds produce good plants the following year. So, my research continues ……. The proof of the pudding is in the eating and if the conditions are right, I do believe any seed will grow and produce fruit or vegetables – that is nature’s way! If the weather man says frost in Malmesbury on Monday and Tuesday night, will that include you in Philadelphia? Do you get frost? We don’t, so far. No, we don’t get frost here, well not since I’ve been living here. The village is in a small valley and my home is right at the bottom, so you can feel the temperature difference. It is cooler but we don’t see frost. I have not collected seed and may not this year due to timing and having time. I am fascinated by it though. I have a whole bag full of seed packets I’ve been buying and collecting. I’m a great collector … but thats where it ends. I am not good with seeds. Oh yeay!! That is a lovely suggestion. I would love to swop with you. I will email you directly Christina! Thank you!! F1 seeds tend to be expensive and selected for a certain set of conditions (usually southern England in our case) and flavour is usually down the list. 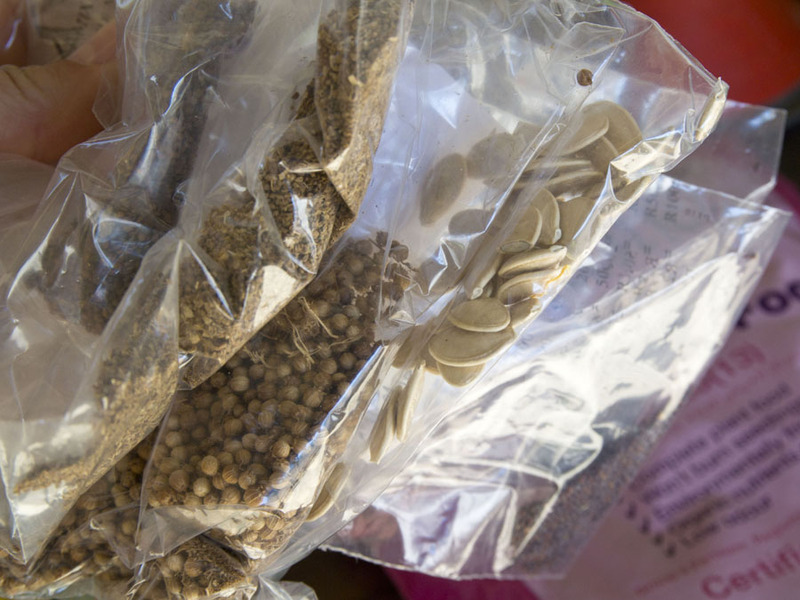 Saving your own seed is fun and always a lottery – but at some stage you will produce a local variety perfect for your own garden and taste buds. Thank you for this post – it just confirms my feelings of going own seed collecting and heirloom seeds.